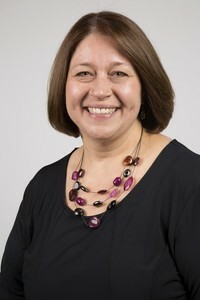 Angela serves on Elam’s staff as Director of Music & Arts. She directs the Jubilate Choir and serves as Organist, coordinates music and arts groups, special services, and is a pianist for worship services. She has been a member of Elam since 1993, transferring membership from her home town church, Saxton United Methodist Church, Saxton, PA. For Angela, music has always been a passionate way to worship God, whether in individual performance, rehearsing others, or directing the choir. Angela creates meaningful moments within the worship experience at Elam as she prayerfully conducts the choir, plays the piano or organ as well as offering solos. Angela is a graduate of West Chester University (B.S. Music Ed 1992; M.M. Music Ed 2002), and is currently working on a Master’s degree in education from Gratz College. She teaches music classes and offers instrumental lessons at Garnet Valley Elementary School, Glen Mills, PA. In addition to her classroom duties, Angela accompanies the Bethel Springs Elementary, Garnet Valley Elementary, and Garnet Valley High School choruses in concerts and public appearances. She also plays piano for Garnet Valley and Chichester High Schools' spring musicals. Angela is a co-organizer of "Voices of Hope," a community chorus which raises funds and awareness for Ovarian Cancer, sponsored by Elam every spring. Angela lives in Chadds Ford, PA, with her husband and daughters. She enjoys walking, spending time with her family and friends, crafts and reading.